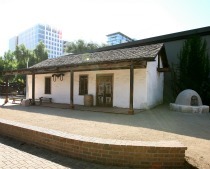 The Peralta Adobe — Fallon House Historic Site is located in the heart of downtown San José, alive with restaurants, bars, and unique vendors. Adjacent to San Pedro Market, the Peralta Adobe Plaza offers outdoor seating where you can enjoy a morning coffee, a fabulous lunch, or an evening concert with dinner or a cocktail. The Peralta Adobe – Fallon House Historic Site is currently open for school programs and special events only; check the HSJ website events calendar for listings. In 2019, regular hours will be established. The adobe was built in 1797 by Manuel Gonzelez, an Apache Indian — also the first resident, and second mayor, of San Jose. The second occupant was Luís María Peralta, who held the highest office in the community as commissioner. Both were part of the Juan Bautista de Anza expedition. The adobe is the last remaining structure from El Pueblo de San José de Guadalupe. See the Adobe’s horno, an outside working oven, or venture inside the home and see two rooms furnished as they might have been when they were occupied by the Gonzalez and Peralta families. The exquisite Fallon House was built in the 1850s by one of San José’s earliest mayors. 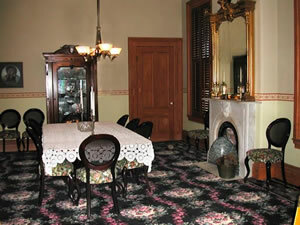 The Victorian mansion showcases fifteen fully furnished rooms typical of the Victorian period. Learn about Thomas Fallon, a frontiersman in the John C. Fremont expedition, and Carmel Fallon, the daughter of one of the most prominent Mexican landowners in California.